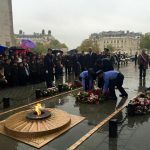 Paris; October 5, 2015: An emotional crowd of school children, Pakistani community residing in France, members of French community and a vast majority of tourists gathered this evening to honor the Pakistan’s martyrs of War on Terror in an impressive ceremony organized at Arc de Triomphe. It was built by Napoleon to honor the French Soldiers fighting for the supremacy of the French Empire, and is located at the center of a dodecagonal configuration of twelve radiating avenues. It was for the first time that this historic monument became host to honor the Pakistan’s martyrs on War Against Terrorism. 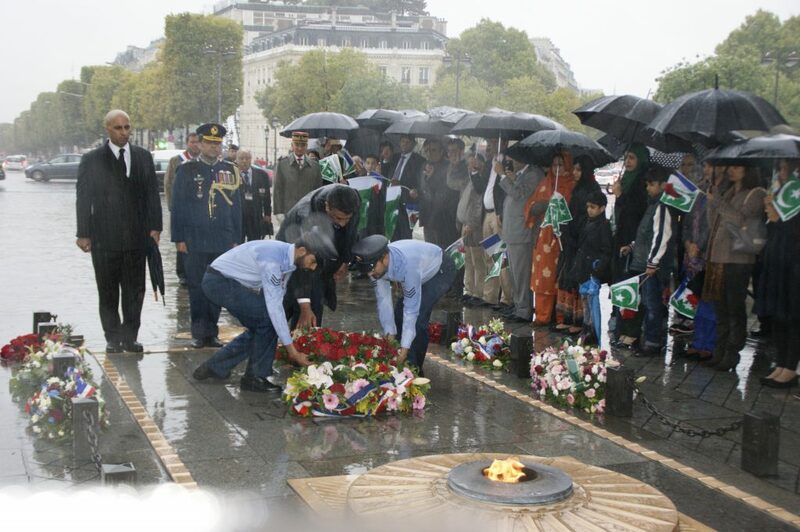 The Ambassador of Pakistan to France Mr. Ghalib Iqbal laid the wreath to mark the tribute to the martyrs who laid their life for the peace of world. 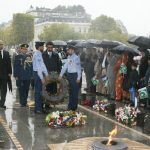 The ceremony marked the end of 50th Defence Day celebrations in France. 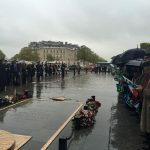 Accompanied by the French Veterans, a large gathering marched towards the venue preceded by Pakistan, France, Joint Staff and Services flags. Amid heavy rain and wind, the crowd displayed great enthusiasm. Children and women waving flags of Pakistan and France welcomed the Ambassador and the French General of Guard Ceremony at the venue. A smartly turned out French military band played to mark the beginning of the ceremony. 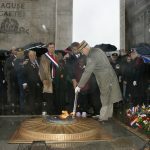 A veteran officer, laid wreath on the grave of Unknown Soldier to pay homage to French Martyrs. The selection of French national monument to honor Pakistan’s martyrs signifies the commitment of Pakistan and France to the cause of peace and freedom of the world. 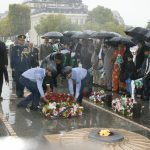 Military band played the National Anthems of Pakistan and France as the Ambassador rekindled the Eternal Flame at the grave of Unknown Soldier. 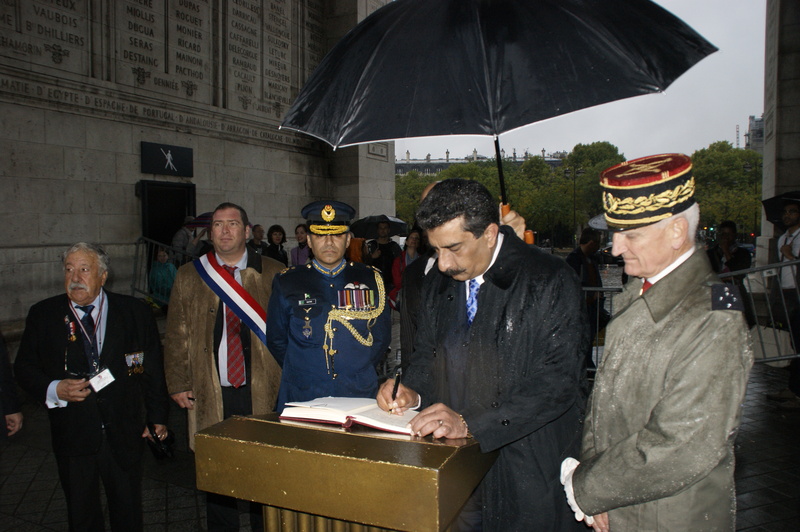 While recording his impressions in Visitors’ Book, the Ambassador wrote that despite being a victim of Terror, Pakistan will continue its War against Terror with the help and support of friends like France.